Former President Jerry John Rawlings says there are more greedy acts that members of his National Democratic Congress (NDC) perpetuated against the people of Ghana during their tenure that he has not revealed. 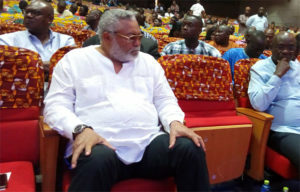 Mr. Rawlings disclosed this while responding to questions on recent comments against former Presidents John Agyekum Kufuor and John Mahama at the 2nd Revolutionary Lecture Series held yesterday at the National Theatre in Accra. He made comments in the presence of chiefs and elders from Mepe in the Volta Region, who had called on him. But Mr. Rawlings yesterday said, “NDC’s babies with sharp teeth” misrepresented the fact of the matter and bastardized the truth. 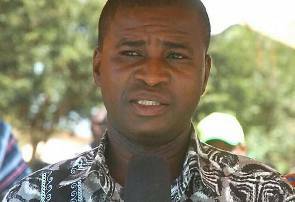 He described members of the NDC as greedy and selfish, saying they are part of the reason for the “poverty” in Ghana today. The former President said the party thwarted his efforts to develop land for people in the Volta Region, which has historically supported the party. He vowed to further expose the NDC come June 4 at Madina Social Welfare Centre where the celebration is scheduled to take place. 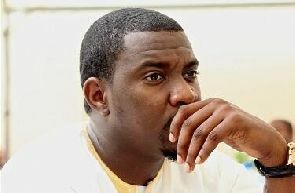 Mr Rawlings looked them in the face as he described the NDC members as highly corrupt and greedy. Former Finance Minister, Dr Kwesi Botchwey, who was one of the speakers at the lecture, said the NDC has completely lost the revolutionary values. According to him, economic gains made as a result of the restoration of multiparty democracy have been eroded due to bad policies, greed and corruption. He stressed the need to rethink Ghana’s future development and consider the restoration of the revolutionary principles of transparency, integrity and citizen centeredness. The lecture, which was chaired by former Vice President Paa Kwesi Amissah-Arthur, was attended by some NDC gurus such as Joshua Alabi, Ekwow Spio Garbrah, Dr Kwabena Duffuor, Sylvester Mensah who are seeking to lead the NDC into the 2020 presidential election. 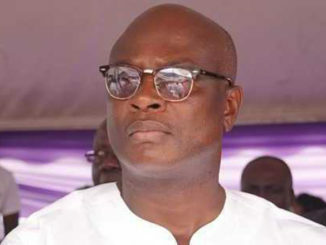 Kojo Bonsu replies Joshua Akamba; says you can support anyone!